1, Copy and paste the name card artwork (printing artwork). 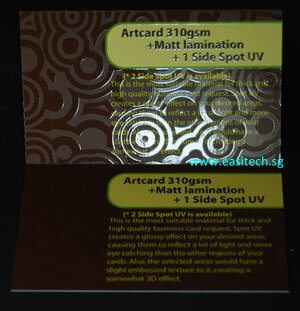 2, Choose the area for spot uv and change the color to K:100 (black) on Spot UV artwork. 3, Remove the images or wording and leave only spot uv area on Spot UV artwork. 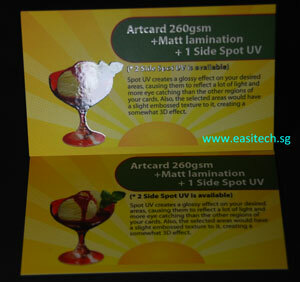 4, Send both "printing artwork" and "spot uv artwork" for printing.